Located on the border between Canada and the USA, 100 km south of Toronto, Niagara Falls consist of two different falls: the 49 meters high Canadian Fall, also called Horseshoe and the American side of the falls, where the water rushes 51 meters into the depth. 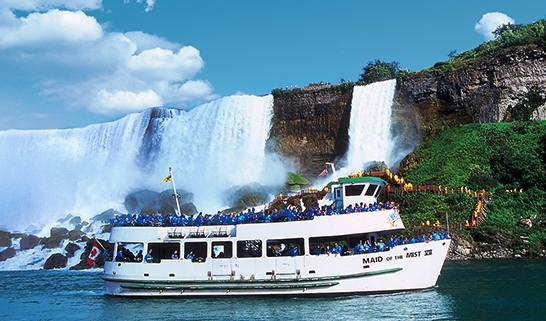 The word "Niagara" alludes to the Indian Word for "thundering water". Did you know that you are almost guaranteed to see a rainbow in Niagara Falls Canada? 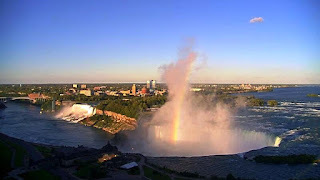 Best time to see it - from about noon until the sun sets on the Canadian side. 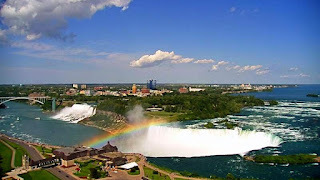 Niagara Falls is a great location for rainbows as sunshine reflects off the mist from the Falls and delights our many visitors with a beautiful show of colours. 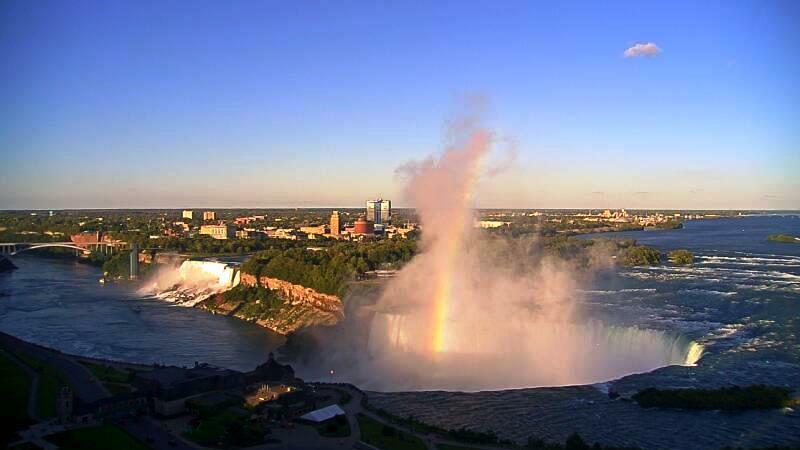 Over one hundred years ago, Niagara Falls was also one of the best locations in the world to view night rainbows or lunar bows - a rainbow created by the light of the moon shining on the mist created by the Falls. 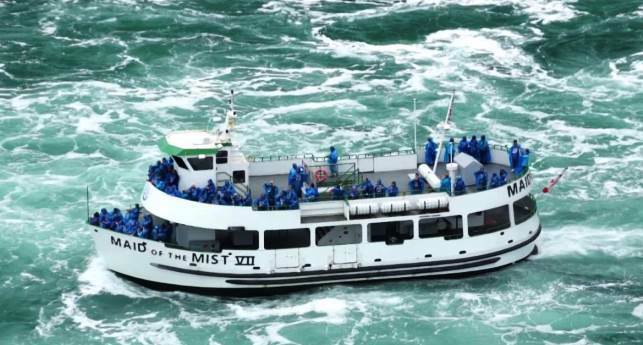 The oldest and best known tourist attraction at Niagara Falls is the Maid of the Mist boat cruise, named for an ancient Ongiara Indian mythical character, which has carried passengers into the rapids immediately below the falls since 1846.